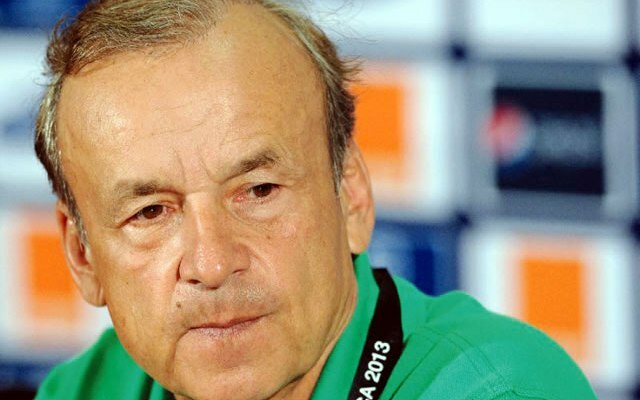 Super Eagles technical adviser, Genort Rohr says he’s not worried with the bad state of the Ndola pitch that will host the Nigeria and Zambia clash in a 2018 FIFA World Cup qualifier on Sunday. The stadium was completed by the Chinese firm Shanghai Construction in 2012 and hosts not just the national team since they moved from the Heroes Stadium in Lusaka, but the in-form Zesco United as well. Regardless of the bad pitch which could affect the beautiful game of football, the German tacticians has set sights on cementing the maximum points on Sunday.